Home→General→How to choose a research advisor for M.Sc. / Ph.D ? ← How to choose a conference for publishing research papers? How to choose a research advisor for M.Sc. / Ph.D ? 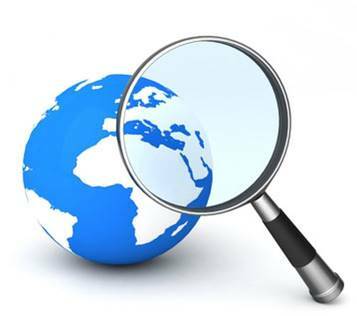 In this post I will discuss how to choose a research advisor for doing a M.Sc. or Ph.D. This is a very important decision for any graduate students that can have an important impact on their success, and on their carreer. So what should a graduate student consider to choose a research advisor? First, it is important to choose a professor that is working in a field or on a project that you like. The reason is that you will work on your M.Sc. or Ph.D. project for perhaps 2 or more years. So for example, if you are interested in data mining, you should choose a professor that is working in the field of data mining. To know which professors works on which topics, one can look at their website or talk with them directly. Ideally, one should choose a professor that is famous or semi-famous in his field to get more opportunities. Second, you may also consider the reputation of the university where the professor is working. But in my opinion, this is not so important. student. What is much more important than the institution is the research that you will do and the articles that you will publish (how good your research is). Third, you need to consider what the research advisor will provide to you. Ideally, the professor will provide you with (1) funding ($$$), (2) time (to discuss your research with you) and (3) good opportunities (e.g. participate in a book, in a committee of a conference). However, the most likely is that you cannot get all three. It is more likely a “pick 2 out of 3” or “pick 1 out of 3”, because professors who will provide the best opportunities and have money are likely to be very busy. But don’t worry. There is a strategy to get around this. It is to get a co-advisor. In this case, you could for example get a main advisor with money and opportunities, and a co-advisor who will give you time. Fourth, I have mentioned the money already. But I will mention it again because it is very important. Some professors have funding and will be able to pay you for your studies. In my opinion, this should be one of the first thing that you should discuss with a potential advisor. If you can get money, then you will perhaps get less debt when you finish your studies. Fifth, you could also consider the research environment. Does the potential supervisor has a good research team? Will there be some opportunities to collaborate with other students and publish some joint publications? Those are important questions. Actually, when you do a M.Sc. or Ph.D., I recommend to try to work with other researchers if possible (on your project on on their project). This will help you get more publications. Sixth, you should have a look at how good the professor is. Is he active in research? I mean, does he publishes many articles in good to excellent conferences/journals?). Does other researchers cite him ? DoIn my opinion, one should try to get a professor that is as active as possible in research. Seventh, does the professor as a good social network with other professors in your field of interest? If so, this could create some interesting opportunities for you. Eight, you should also consider the location of the university. Will you need to travel to another city? How much it will cost ? go far away from home? etc. Those are my main advices on this topic. Hope that it helps. If you have some additional thoughts, please share them in the comment section. By the way, if you like this blog, you can subscribe to the RSS Feed or my Twitter account (https://twitter.com/philfv) to get notified about future blog posts. Also, if you want to support this blog, please tweet and share it! thanks, r u doing ph.d right now.then which area? No. I’m a professor. 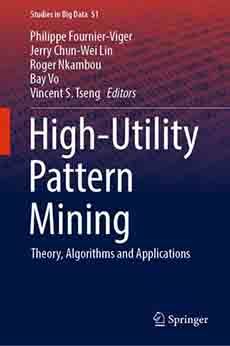 Me and my students work on pattern mining (sequential pattern mining, itemset mining, etc.). In the past I also worked on applying data mining in e-learning systems. Is this good title for Phd research or not . There is nothing wrong with this title. But it does not tell much about what you want to do. It is very general. How can I make it more specific ? Making it more specific means to define more clearly what you means by decision making. What kind of decision making? for what purpose? in what context? which data mining technology? For the title, it does not need to be very specific. But if you have to write a description of your project, it will need to be more specific than a title. I mean that a title does not tell a lot about what you want to do. Can you please refer to some sources where research and thesis papers are freely available? I usually just search on Google or Google Scholar. When searching Google, you can use “filetype:pdf” as a keyword to find PDF files only. hello sir,can u suggest me the current research topics in datamining (for master) or as well as in other subjects.? hello sir, I would like to do phd in data mining. Do I need to get my guide who had completed his research in same data mining or in any other paper(network,etc). By Guide, you mean phd supervisor? If you want to work on fundamental algorithms for data mining, you may want to find a phd supervisor who is specialized on data mining. If you want to apply data mining in another field, it could be ok to get a phd supervisor that is not exactly specialised in data mining but maybe specialized in some related field like AI. I” m master student . i like to do theses in job seekers, but i cant choose topic about it plz help me. I am going to do the Ph.D in Data mining techniques..
plz say the some of the areas and which topic is better and how to find the problem in data mining…. I applied for my phd in the area neural cryptography. My synopsis got rejected saying it is too generic. I really worked on it. I dont no why. Will you please suggest me some guidelines. Now i have changed my topic to data mining. So if it is too generic then you should try to find something more specific. I don’t know anything about “neural cryptgraphy” but may that it is a broad research area and that they would like you to tell something more precise such that you will work on addressing the limitation X of the algorithm Y or Z for neural cryptography. That would be more specific for example. So my advice is don’t give up, and try to find some more specific topic in a research area that you like. You may also ask your research advisor or future research advisor to help you. I have started my ME course in direct third sem. I have to completer the dissertation in almost Six Months. can any one suggest a small but good topic in TEXT Mining…?